I remember sitting on my mom’s kitchen floor, next to my sister, both of us holding on tight to an orange bowl and licking the left-over brownie batter. The memory of it makes me smile every time. Growing up, my mom cooked all our meals, and baked every weekend; brownies, chocolate chip cookies, coffee cake and a decadent New York-style cheesecake that she started baking when I was already a teenager, were usual in our home on weekends. Being in the kitchen with her was one of my favorite things. While I can no longer cook with her, I learned so much just sitting with her, watching what she did, talking about our days. I can not only cook a meal from start to finish, and a very good one, but I have began to love cooking with my son too. I also love cooking with my husband, but that’s another story. At this point my baby just plays in the kitchen while I cook, but I enjoy every recipe I cook in his presence; sometimes I see him interested in what I am doing, being zesting a lemon or mixing batter. I know he is learning something. It’s only been a few months since I have felt like I have time for recreational baking. So, when the itch to bake came, but I did not want to go to the store to get ingredients and use up more of my limited time, I went straight to my computer. 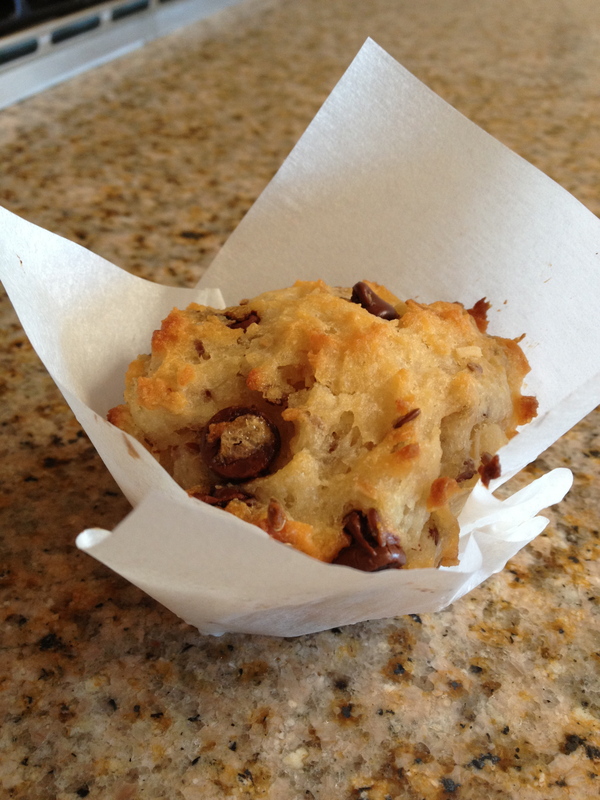 I had a bunch of coconut flakes that I wanted to use, googled “coconut muffin” and found this awesome recipe from Smitten Kitchen (a great blog, by the way) They looked great and simple to make. Even with my substitutions, these muffins where delicious, surprisingly buttery and very satisfying. They were definitely better right out of the oven, but in my experience gluten-free baked goods don’t have a great shelf-life. I will definitely make these again for us or as gifts. I don’t think the baby will remember this experience, but I know I will. What food-related memories do you have?